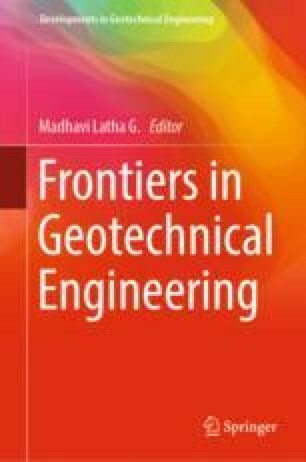 This keynote paper focuses on the recent research advances made in topics related to expansive soils, which are located in most of the countries in the world. Most of the research came from the studies conducted at the University of Texas at Arlington (UTA) that are funded by many government agencies. First two topics of the paper focuses on expansive soil characterization and ground improvement topics. New characterization methods utilize pore fabric and distribution details along with clay mineralogy and unsaturated soil mechanics principles. Soil stabilization section describe novel and sustainable additives including Geopolymers and Biopolymers and how they affect shrink and swell properties. Among these, Geopolymers show promise in mitigating swell and shrinkage properties. The final section describes a unique challenge of health monitoring of transportation pavement infrastructure built on stabilized expansive soils. Current methods offer some limitations as they do not capture shrink-swell related pavement surface deformations. A methodology comprising of unmanned aerial vehicles with photogrammetry is proven to provide pavement monitoring results and this method is proven to be inexpensive, safe and reliable. Digital elevations of pavement infrastructure provide the effectiveness of chemical additives in modifying subsoils with and without sulfates. Authors would like to acknowledge National Science Foundation (NSF), Texas Department of Transportation, US Army Corps of Engineers, US Department of Transportation Funded Tier 1 Center on Center for Transportation Equity, Decisions and Dollars (CTEDD) and Transportation Consortium of South-Central States (Transet) for funding various projects which provided data to the present keynote paper. Several folks including Joe Adams, Jonathan Martin, Arturo Perez, Cody Lundberg, John Vasquez, Richard Williammee, and Wade Blackmon provided their assistance during data collection for TxDOT projects. Several UTA former doctoral students, Bhaskar Chittoori, Tejo Bheemasetti, Aravind Pedarla, and Ujwal Patil who did research studies that have contributed to the keynote paper.